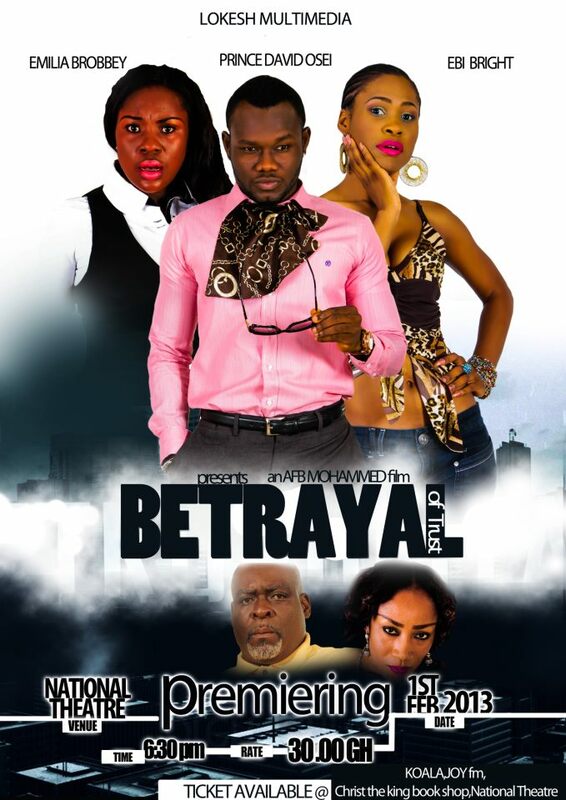 Lokesh Multimedia are set to premiere new movie for the year 2013 titled ‘Betrayal Of Trust’ on Friday, February 1. It stars Kofi Adjorlolo, Prince David Osei, Emilia Brobbey, Ebi Bright and many other Ghanaian acts. The premiere starts at exactly 6.30pm at the National Theatre. Tickets are selling at the National Theatre, Koala, Joy FM, and Christ the King bookshop for GHc30. ‘Betrayal Of Trust’ is an AFB Mohammed film and it is produced by Lokesh Multimedia.